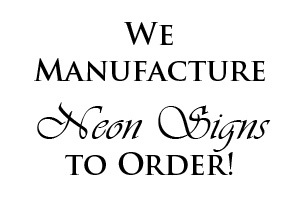 The alternative to neon, LED Neon Flex is made of a material stronger and more flexible than glass. 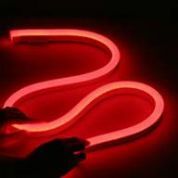 Red Neon Flex at £31.00 a metre. Shock and vibration proof, LEDs are encased in a PVC flexible core, allowing the material to be shaped as required. The LED's are positioned 12mm apart and the Neon Flex can be cut to length at 100mm to 150mm intervals (depending upon colour). 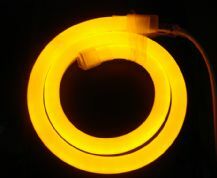 The alternative to neon, LED Neon Flex is made of a material stronger and more flexible than glass. Green Neon Flex at £31.00 a metre. Shock and vibration proof, LEDs are encased in a PVC flexible core, allowing the material to be shaped as required. The LED's are positioned 12mm apart and the Neon Flex can be cut to length at 100mm to 150mm intervals (depending upon colour). 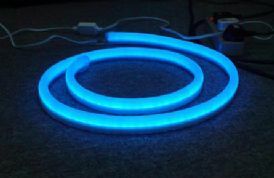 The alternative to neon, LED Neon Flex is made of a material stronger and more flexible than glass. Orange Neon Flex at £31.00 a metre. Shock and vibration proof, LEDs are encased in a PVC flexible core, allowing the material to be shaped as required. The LED's are positioned 12mm apart and the Neon Flex can be cut to length at 100mm to 150mm intervals (depending upon colour). 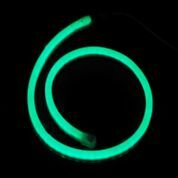 The alternative to neon, LED Neon Flex is made of a material stronger and more flexible than glass. 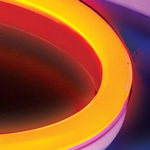 Warm white Neon Flex at £31.00 a metre. Shock and vibration proof, LEDs are encased in a PVC flexible core, allowing the material to be shaped as required. The LED's are positioned 12mm apart and the Neon Flex can be cut to length at 100mm to 150mm intervals (depending upon colour). 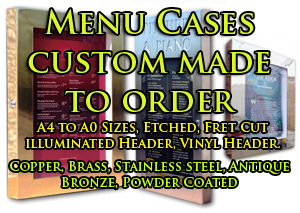 The alternative to neon, LED Neon Flex is made of a material stronger and more flexible than glass. 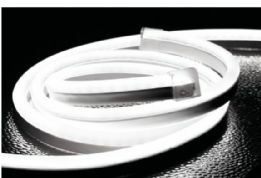 White Neon Flex at £31.00 a metre. Shock and vibration proof, LEDs are encased in a PVC flexible core, allowing the material to be shaped as required. The LED's are positioned 12mm apart and the Neon Flex can be cut to length at 100mm to 150mm intervals (depending upon colour). The alternative to neon, LED Neon Flex is made of a material stronger and more flexible than glass. Yellow Neon Flex at £31.00 a metre. Shock and vibration proof, LEDs are encased in a PVC flexible core, allowing the material to be shaped as required. The LED's are positioned 12mm apart and the Neon Flex can be cut to length at 100mm to 150mm intervals (depending upon colour). 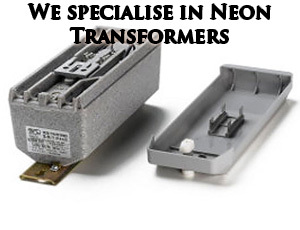 LED Neon Flex Power supply designed to be used with the LED Neon Flex range of LED strip neon. 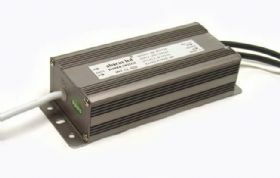 Mains input 230VAC output 24Volt power supply which is capable of powering up to 10 meters of LED Neon Strips. PSU comes supplied with output cable with a molded front end connector.